Brandon Zetina, pictured above with his parents and Marylou Witherspoon (niece of John Cervantes). 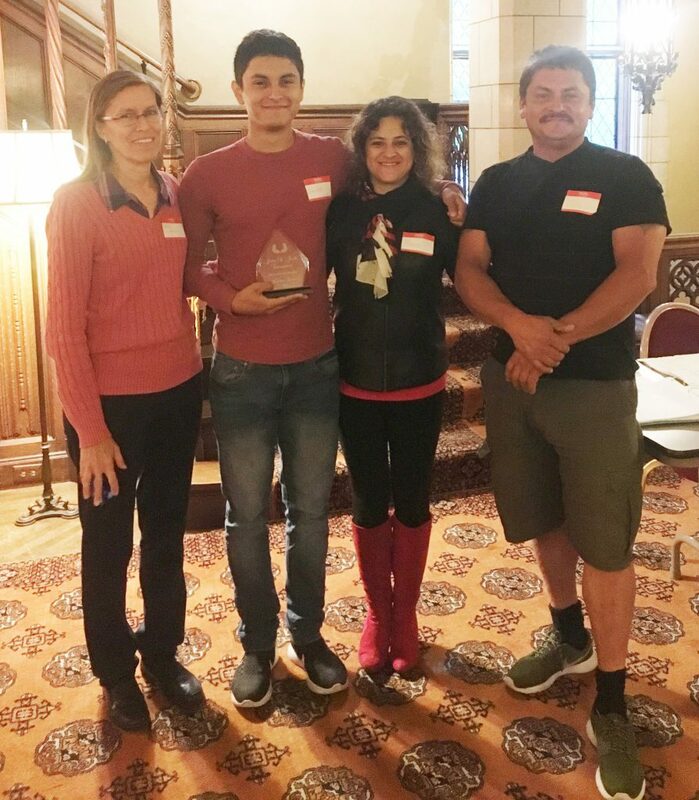 Brandon was awarded our ninth annual scholarship during a presentation at the Butterworth Center in Moline, IL on May 20, 2017. Brandon will be attending Augustana College this fall and plans to major in Engineering. The event was hosted by the ladies of the Mary Little Deere – Fort Armstrong Chapter of the NSDAR.